We’re always comparing. There are daily battles in our minds over stuff we want versus stuff we have. Things that others possess, but we don’t. The greater success someone else has that should be ours. On one side is envy. The other gratitude. What wins your battles? You’re in control. 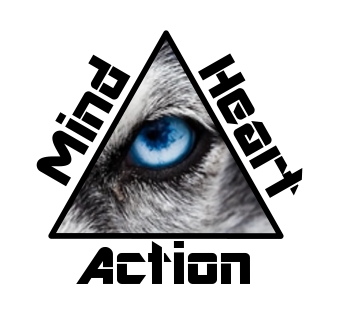 What determines the outcomes is your mind-heart equilibrium. To have the proper balance, you need a clear, calm mind. With it, you have self-control. If you chose envy, you’ll never be happy. Trust me. I’ve been there. And it’s such an ugly quality that you won’t like yourself much. It’s a turn off to others too. If you chose gratitude, being grateful for who and what you have in life, the good and the bad, and make it a daily habit, then you’ll be a more pleasant, likable, caring, successful person. Don’t believe me? I’m sure you’re asking, “why should I be grateful for the bad stuff that happens?” Because it will be used for good, if you believe it and let it shape your character for the better. What and whom am I grateful for today? Write your answers down in a journal. Write down whatever comes up. Every day. You’ll transform into a happier, more positive, less envious person. You’ll start to see the good in everything. You’ll stop comparing. The constant battle of believing that if someone else has more that means we have less. Few recognize the value of John10:10. Agree. In our minds, we think the world is a giant pie that’s divided up into slices. We think, if somebody’s slice gets a little bit bigger than mine, then that must mean my slice is going to be smaller. However, life is not a zero sum game. The pie keeps getting bigger.